First charged with sedition, now expelled from college. This will create even more bad feelings, in our opinion, young people must be allowed to have their say, else they may go down the path of violence. Post 2014, India and Pakistan must have a public plan for Kashmir, put things down in pen and paper, and reduce tensions and improve commerce. Enough is enough. 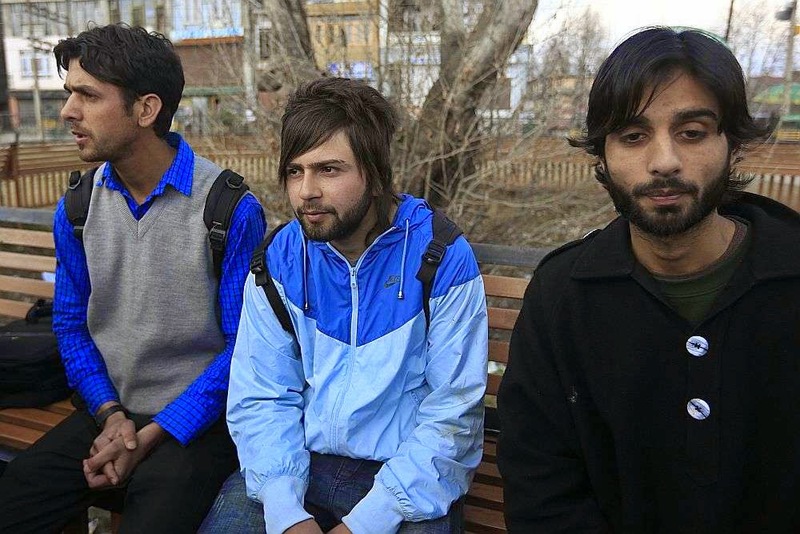 suspension of 57 other Kashmiri students was revoked. However, the committee revoked the suspension of 57 other students. “The 10 students are writing their exams now. Once exams get over, they will be sent back home,” he told PTI, adding after their exams are over, they will be issued migration certificates. The university authorities had set up a disciplinary committee to probe the incident. Kashmir Chief Minister Omar Abdullah. statements of the university administration and committee members. Sedition is an idiotic knee jerk charge. But what did these geniuses expect celebrating Pakistan in a university named after the patron saint of Hindu revivalism? There are idiots and possible traitors but only in thought not in action. Their shunning by the student body is punishment enough . I dont think they should be expelled. Also @sid rock, whatever Kashmiris think of India ,is it too much to ask that they behave with some basic decency not to mention common sense? What did they expect for their actions- a ticker tape parade?